CRAZY DISCOUNT! 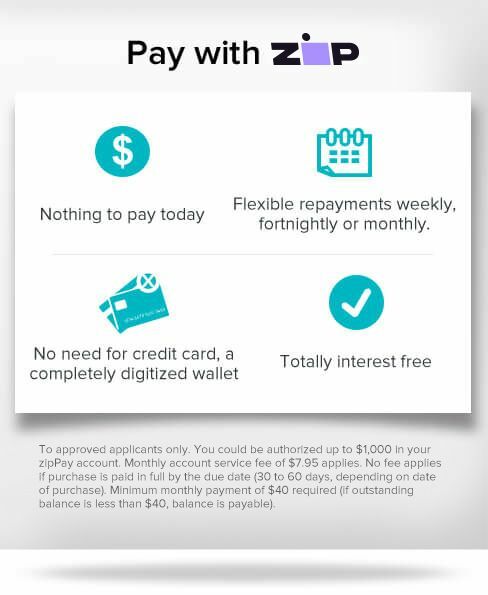 Was: $99.95 Now: $39.97! Nobody can say no to a reclining chair that makes you sit back the seat and relax your whole-body muscles. 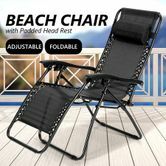 And our Reclining Chair Zero Gravity Sun Bed Beach Chair - Black is exactly such a recliner chair, a sunbed or a beach chair for losing yourself in peaceful comfort, which would be perfect if you get a book or a cup of tea in hand while reclining on it. This reclining chair adopts strong steel tubes as support for the maximum 120kg weight capacity, so that you don't have to worry about the durability issue. Whether you want a motionless sitting on it, or try to take a nap through reclining or even lying down, our steel construction can guarantee your security and comfort. Moreover, the fabric is soft enough to make you sit or sleep well, with the strong ventilation design to make your sitting and reclining free of stress and heat. Adjustable reclining angle range allows all users to recline or sit at any position they like. Our Reclining Chair Zero Gravity Sun Bed Beach Chair - Black can be adjusted from 90 to 165 degrees, which is decided through many testings to cater for ergonomic standard. With the adjustable reclining angles, you can sit and recline on the 2-in-1 recliner anytime you want. Better still, our recliner chair features foldable design that can save storage space at home and make it portable for your trip and camping. 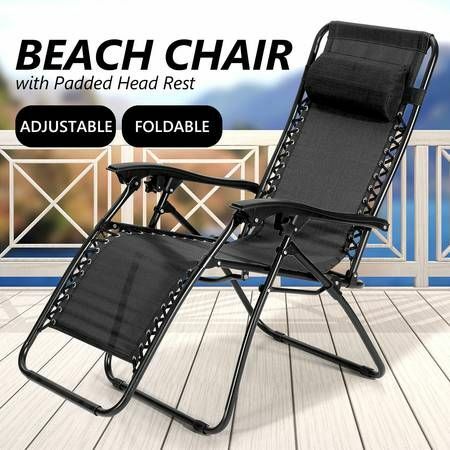 Whether you want to recline at home, or enjoy peaceful comfort on the beach, our Reclining Chair Zero Gravity Sun Bed Beach Chair - Black can bring you ultra-comfortable relaxation indoors and outdoors. What an amazing versatile recliner that all of us should get one! 2 in 1 Sitting and lying down. Very comfortable good quality for the price.